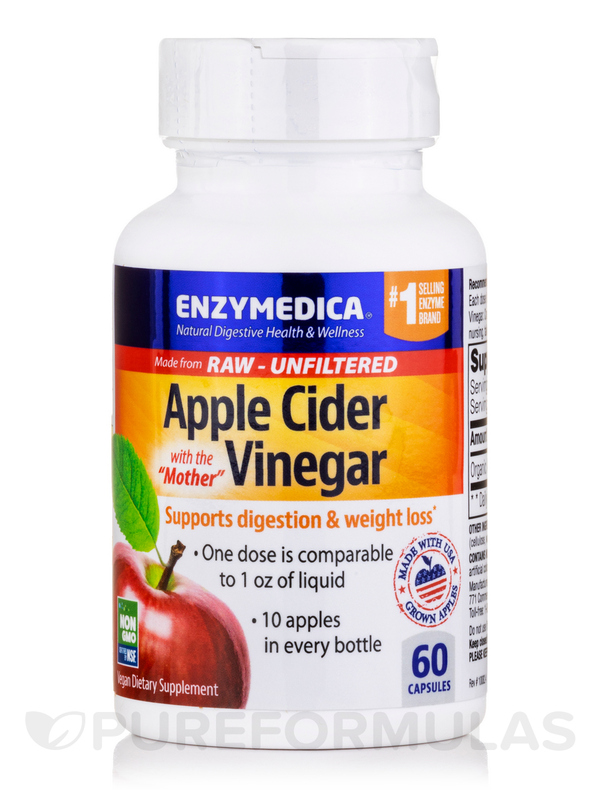 This Apple Cider Vinegar by Enzymedica is the strongest Apple Cider Vinegar in a capsule form and easy to take every day. 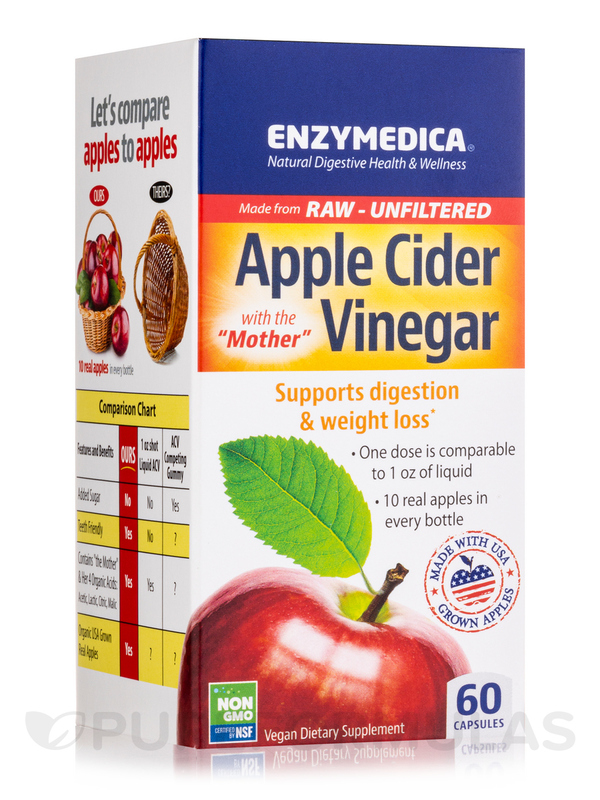 Apple Cider Vinegar (ACV) is a traditional folk remedy that has been shown to support digestion and weight loss. 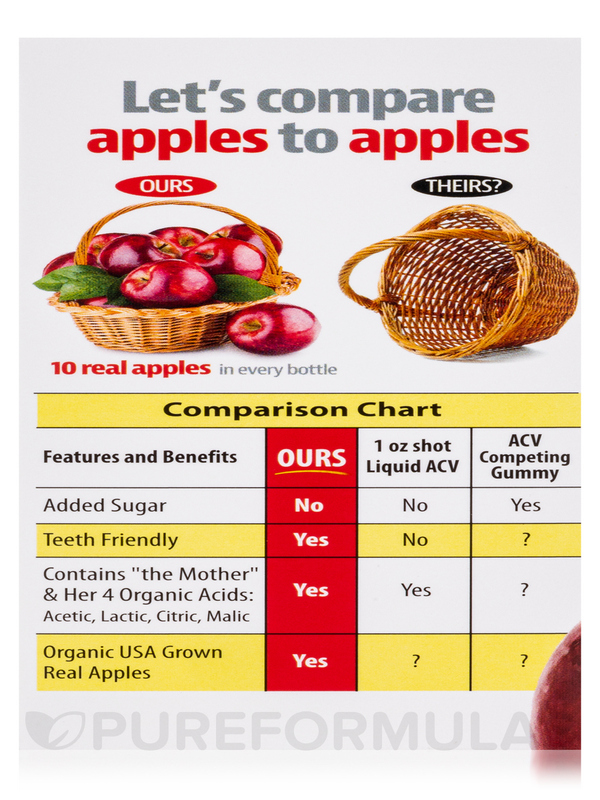 Many of the benefits of ACV have more to do with the fermented brown sediment known as the "Mother" than the acetic acid‚ especially as it relates to the effects in supporting digestion and weight loss. 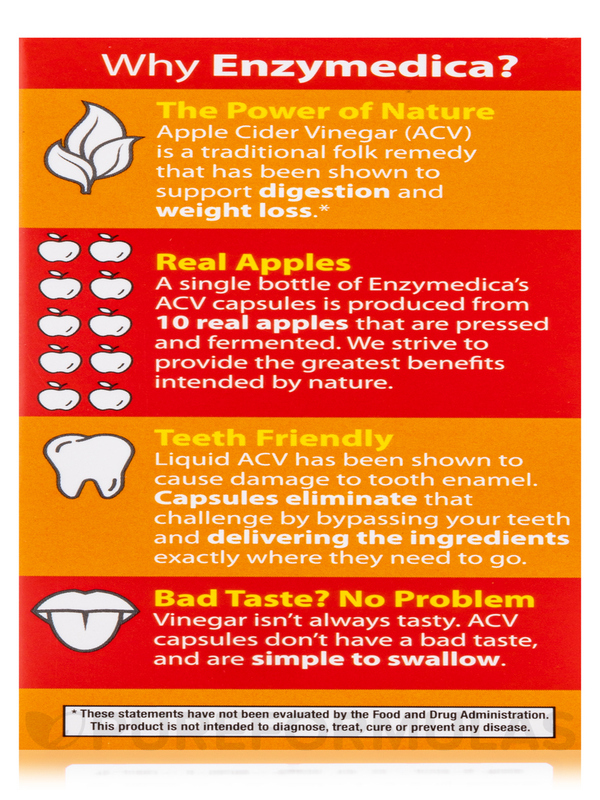 A single bottle of Enzymedica's ACV capsules is produced from 10 real‚ wild picked apples that are pressed and fermented. Enzymedica strive to provide the most significant benefits intended by nature. Vinegar isn't always tasty. 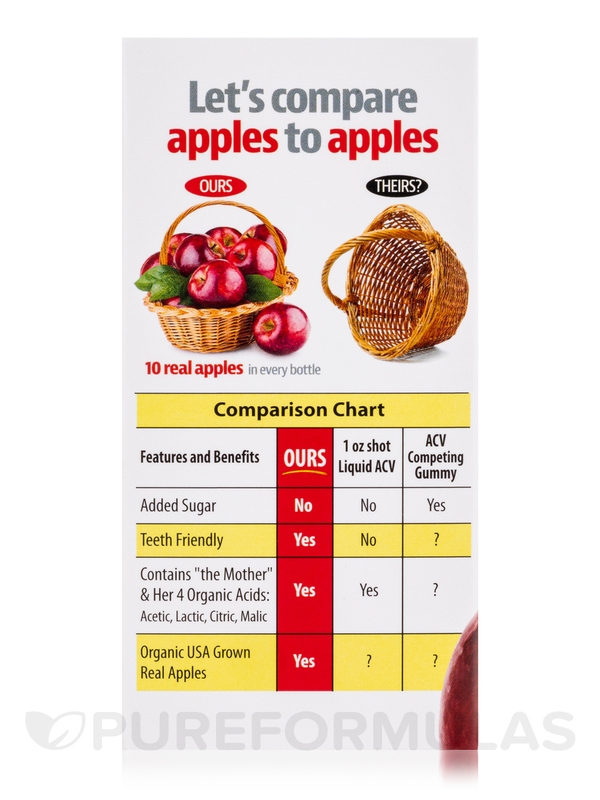 Apple Cider Vinegar is known for its unpleasant and robust flavor. 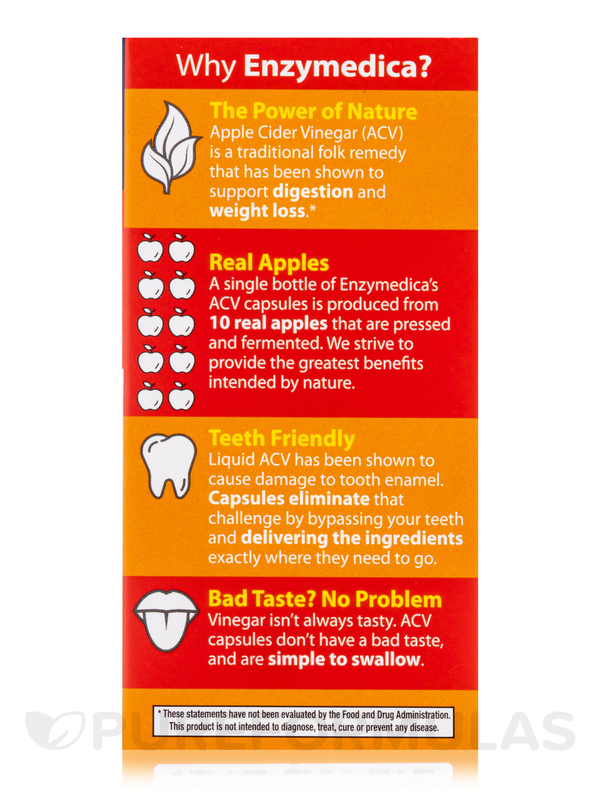 Enzymedica ACV capsules don't have a bad taste and are small and simple to swallow. 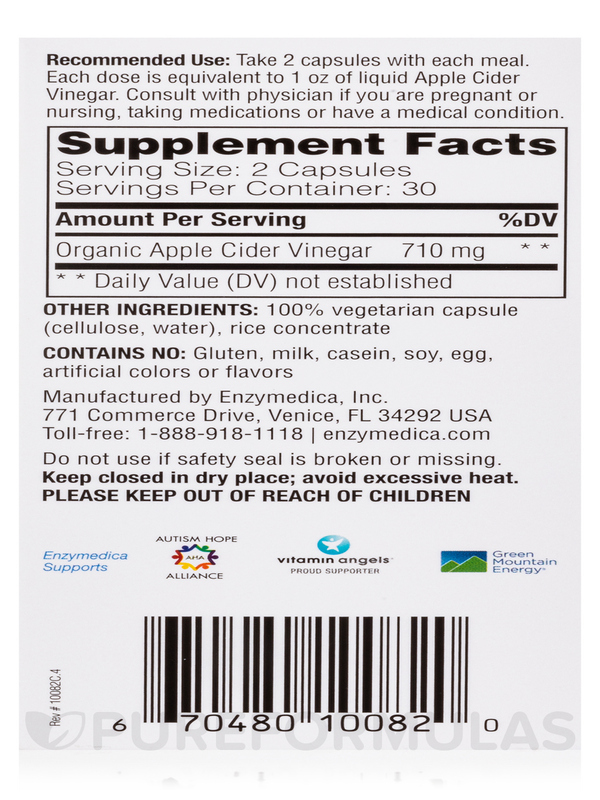 Other Ingredients: Vegetarian capsule (cellulose‚ water)‚ rice concentrate. No Fillers Added / Non-GMO. 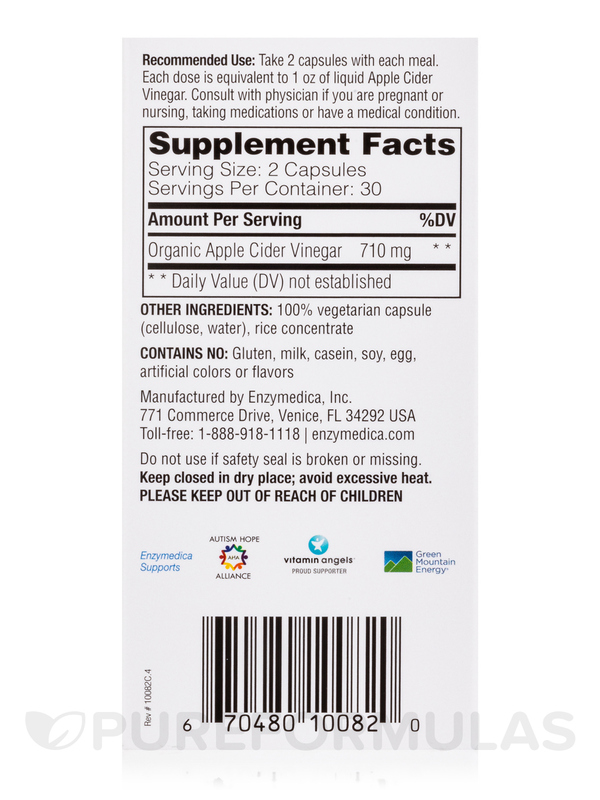 Take 2 capsules with each meal. Each dose is equivalent to 1 oz of liquid Apple Cider Vinegar. I liked that the pills are smaller and easy to swallow. Couldn't put in my mouth without gagging from smell/taste. Very excited to find Apple Cider Vinegar capsules (with The Mother). I had a hard time with the vinegar from the bottle. 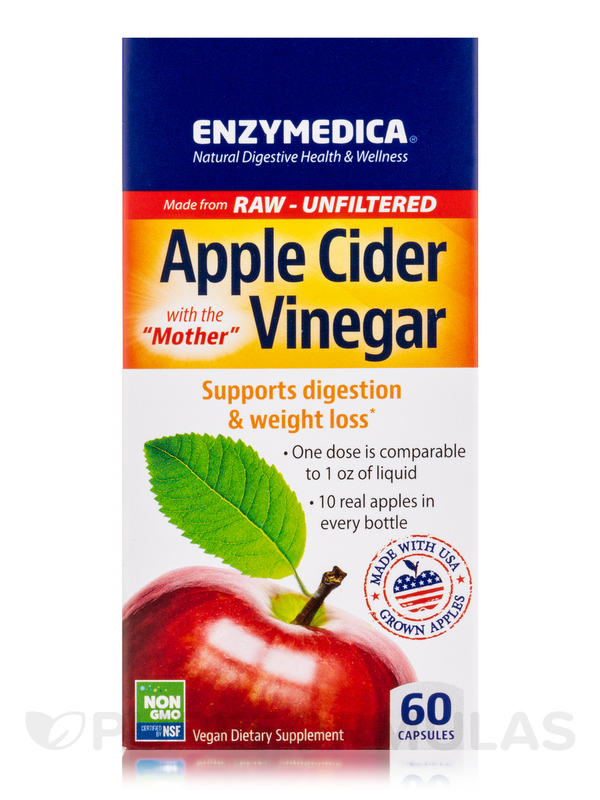 Enzymedica's Apple Cider Vinegar is a great find. Just wish it was not quite so expensive. If taken like prescribed, it is only a 10 day supply. Taking the place of liquid Vinegar. I usually drink ACV diluted with water to help with blood sugar regulation. It's never made me FEEL healthier immediately. 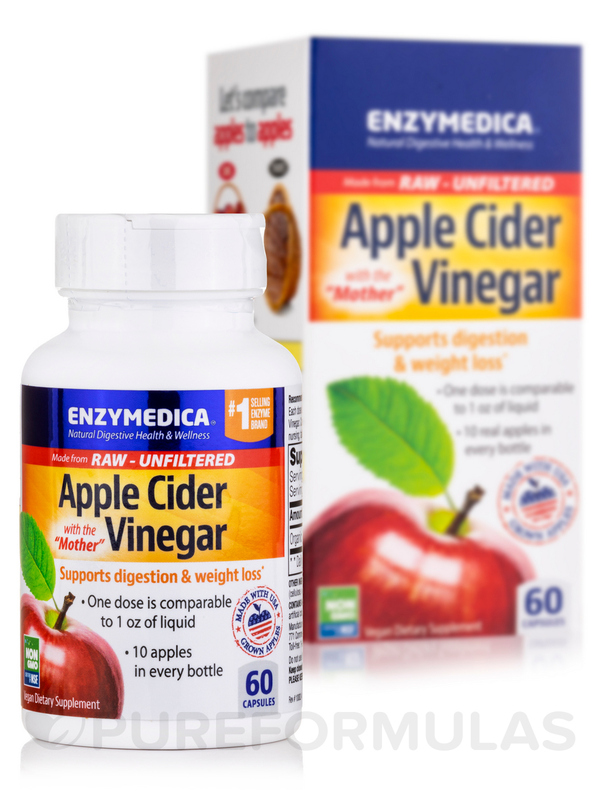 That changed when I began taking taking Enzymedica's Apple Cider Vinegar capsules. One dose helps alleviate that dreaded carb fog after meals.